If you’ve been a landlord for a while, you’ve probably had at least one bad tenant. If you haven’t had one yet, we’d like to help you do everything in your power to make sure it never happens. 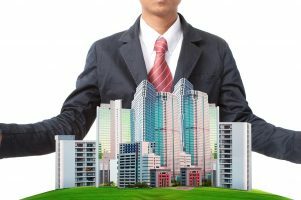 Here are some tips on picking the ideal tenant for your property and what a good property manager should look for. The first time tenants come to inspect the property is your first opportunity to start vetting. When the renters come to inspect, make a note of the kinds of things that people might lie about. For example, if they come in covered in pet hair but state they have no pets on the application, it might be worth giving their application a miss. This goes for any discrepancies you might find out down the track when checking out the information they’ve given you. If there’s a red flag, you should probably give that tenant a miss. Do they have job security? How long have your prospective tenants been working for the same company? Do they have a patch in their employment history? Does their employment history on the application form pass the sniff test? Tenants with steady, consistent employment are less likely to mess you around with the rent, and are more likely to hang around. Has their bond ever been withheld? If the bond was refunded in full this lets you know that the moving-out process (when it comes) should be relatively painless for you. If it wasn’t repaid in full it needs be investigated further. Your agent can always call the prospective tenant’s previous agency and ask why it wasn’t repaid in full. Sometimes it can be for something small like lawn mowing which isn’t something to be concerned about if everything else checks out. Are there gaps in their rental history? While there are reasons why a prospective tenant might have gaps in their rental history, it’s also likely that they’re hiding a negative rental experience. If a tenant makes no effort to explain a gap, it might raise a concern for their application. If you’re looking for a tenant through an agency, check their paperwork and see if it provides space for applicants to explain their situation. Speaking of their rental history, how long have their previous tenancies been? You can often work out how likely a tenant is to stick around. While tenants with kids or pets might not be everyone’s first choice for tenant’s, history shows that they’ll stick around for years, saving you time and money on replacing them in the short term. 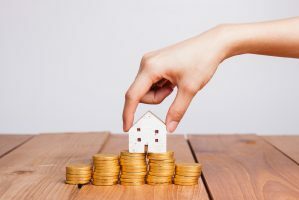 The same goes for older tenants, typically they’re looking for somewhere to settle in for a long stint, so as long as they’re paying their rent on time, you generally shouldn’t have much to worry about. Putting the information on the form is an important part of a rental application, but it doesn’t mean much if the information you’ve been given doesn’t check out. Put the time in and be sure to call employers, prior landlords and other relevant parties (such as referees and accountants) to make sure your applicants are on the level. If you find a discrepancy on the application, who knows what will happen if they move into your property, so be willing to put the work in up front. It might feel like a lot of checks, but choosing the right tenant will not only save you a lot of stress and aggravation, but it’ll also potentially save you time and money in the long run. You’ll be spared advertising costs, not to mention being left out of pocket if tenants do the wrong thing. It’s well worth putting in the effort up front and making sure that your tenant is the best fit for you and your property’s needs. When it comes to selecting a tenant it is something that is best left to your property manager for a few reasons. For a start, they’ll approach it like the calculated business decision it should be and are not weighed down by emotions, as can be the case for some owners. Plus this is their niche – they are experts at scanning application forms and searching databases, and matching the right tenant to your property. Of course, you’ll want to discuss the kind of tenant you’d prefer with your property manager before they start sifting through the applications.